This emerging author, who completely won me over with her debut novel SWEET THING, is back again with a new story, filled with new characters, set against the beautiful backdrop of the California wine country. Immediately I was drawn into this story because of its setting, rich with breath taking views, and so easily able to get lost in. I found myself taking a literary vacation to Napa Valley, hoping I'd get lost and never find my way back home. Renee Carlino has delivered another addicting story, one I am happy to promote through its blog tour. Kate is a journalist from Chicago who has lost her mojo. She's sent to Napa, California to interview the reclusive billionaire R.J. Lawson. Before arriving there, we learn that Kate is on her own. She's on the brink of falling out of a not-so serious relationship with a guy from her apartment building. Having no family, and very few close friends, Kate uses this news story adventure as a means to get some fresh air, and perhaps find herself again. Upon arriving at the Lawson winery, she runs into a guy named Jamie, who happens to be the help around the property. If there's a fence that needs mending, or a vine to be tackled, he's your guy. Immediately these two strike an instant connection, and you know this sudden detour has the potential to really shake up Kate's world. As she's in the process of discovering more about R.J. Lawson, the man behind this beautiful estate, she's whisked away by Jamie and introduced to all the beautiful elements the winery has to offer. Kate feels as though she's living in a fairy tale. But this fairy tale abruptly stops, and Kate is left asking questions, wondering exactly who Jamie is and why she's so suddenly been deserted. The second half of the novel takes place in Chicago, as Kate is left to pick up the pieces of her life. Even though the truth eventually comes out, Kate isn't so sure she can trust her heart again to someone else. Carlino does a fantastic job of building up a character, allowing them to reach their full potential, only to be slammed back down, and forced to deal with all the rubble that now exists around them. There were moments the dialogue lost me, and I felt a bit of disconnect from the story, but it was just a matter of personal taste, and did not completely shut me out from the story. I wanted to see these characters through to the end, and find out if a happily ever after truly existed for Kate. But I also appreciated the complex story Kate had to go through, before she could find that happiness within herself. 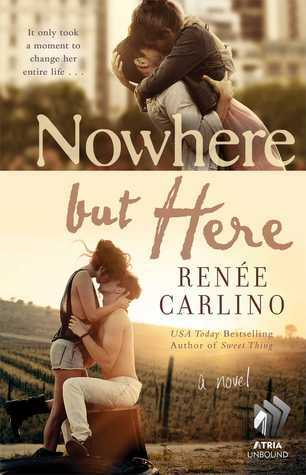 As a supporter of Renee Carlino's books, I recommend this novel to those who enjoy a multifaceted adult contemporary romance. The setting in Napa completely won me over, but my only regret is that I did not enjoy this novel with a glass of wine (or two). Oh, wow! 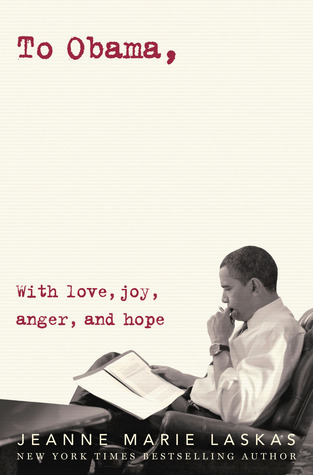 Nowhere But Here sounds like a wonderful read. I haven't yet read Sweet Thing, but I remember seeing your review and wanting to do so! I'm thinking I might just have to check out both now.